What do you think of when you think of a body builder? If you’ve ever been around someone who’s trying to tack on mass and gain a lot of muscle weight without fat, you’re probably thinking of someone who eats a diet that’s supposedly healthy but is actually packed with artificial ingredients and synthetic supplements. There’s definitely a stereotype involved with bodybuilding and, unfortunately, that stereotype is often true. From grossly unbalanced meat-heavy diets to dangerous doping efforts, bodybuilders can and often do go to wildly unhealthy lengths to achieve their fitness goals. But while there are a lot of bodybuilders who fit the stereotype, there’s a group of successful vegan bodybuilders who are breaking the mold and showing the world that participating in fitness competitions and even pursuing bodybuilding as a hobby can be done on a plant-based diet in an ethical, healthy, and safe way. 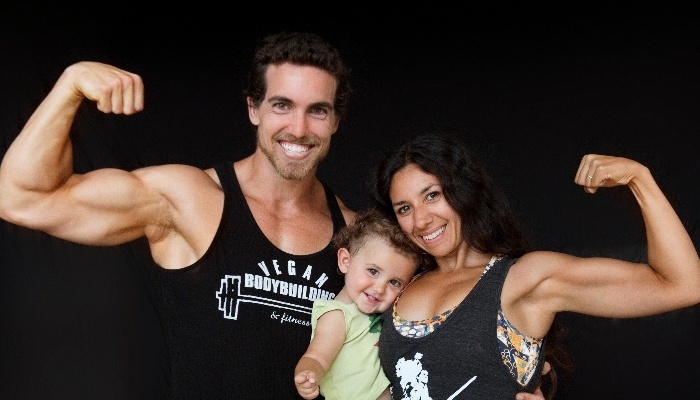 A lot of people are shocked to find out that vegans can be successful bodybuilders. It’s often impossible to tell a vegan bodybuilder from a meat eater based on appearance alone. Vegan bodybuilders are often loud and proud about their identities, in part because the bodybuilding community is often so shocked to learn that their myths about food sources and protein aren’t actually true. While not all vegans have high-level fitness goals or are interested in dramatic muscle gain, it’s important for everyone to understand that it’s possible to follow a strict vegan diet and lifestyle and achieve at the highest levels of fitness competition. This is true for both men and women. Vegans often have to explain their priorities and their dietary choices and that’s especially true in the fitness world. Everyone tends to do things the same way, albeit with slight variations on how the animal protein gets consumed. Vegan bodybuilders totally break the mold as far as diet is concerned, though their results are often the same. The fact of the matter is that it’s completely possible to eat a balanced diet that allows for significant muscle gain without eating any animal-derived products or meat at all. If people who are skeptical of vegan diets could understand this, they might be able to get their heads around the ways that vegan diets are better for everyone, even people who aren’t interested in bodybuilding. Hopefully, dispelling myths about vegan bodybuilders can pave the way for a broader understanding and acceptance of vegan lifestyle choices in any situation. First of all, let’s start off with a common myth that vegans have to explain all too often: Protein. The idea that meat and other animal products are the only viable source of protein is a noxious myth that is particularly prevalent in the fitness and bodybuilding communities. The truth is that plant protein is a substantial source of complete amino acids and the vegan bodybuilders we feature in this section of the site prove how true this is. Yes, it’s important for bodybuilders to take in plenty of protein in order to put on large quantities of muscle mass and sustain the kind of anaerobic activity required to build competition-level amounts of muscle, but that doesn’t mean that meat is the only way. Soy is, of course, a popular source of protein, but it’s not the only source for vegan bodybuilders to turn to. You need to look no further than grains like oat, teff, quinoa, and amaranth to find a vegan food that provides complete proteins with all the amino acids your body needs to thrive. While not all of these grains contain all of the nutritional elements you need to stay healthy on their own, the same can certainly be said for meat. The grains listed here have the added benefit of containing a lot of natural fiber and even some healthy fats, which is something that can’t be said of any animal products, which don’t contain fiber and usually contain saturated fat and cholesterol as well. Beyond grains, though, vegans have a ton of options for packing protein into their diet to sustain a regular bodybuilding program. Legumes, beans, nuts, and seeds are excellent sources of both healthy fats and proteins. While there were once many myths about the need to combine different vegetable proteins to get a complete protein, we now know this isn’t the case. However, it doesn’t hurt to combine a variety of vegetable proteins in order to increase your protein intake and get a range of different flavors and nutrients as well. This isn’t something you’d get from a meat-eating bodybuilder’s diet. In fact, the variety of healthy foods available to vegan body builders isn’t mirrored in the diet program of your average meat-eating bodybuilder. Vegan bodybuilders often have a much more natural, healthy outlook on food that allows them to consume calories from various healthy sources, which meat-eating bodybuilders usually don’t do. Some meat-eating bodybuilders restrict their diets so much they eat very little whole foods, relying instead on synthetic proteins and other highly processed food-adjacent meal items that provide the chemicals their body needs to survive but doesn’t actually result in a nutritious diet plan that fuels the body in a healthy and sustainable way. Loading up on all those synthetic supplements and cutting out entire food groups often results in long-term health problems for these meat-eating bodybuilders. In some cases, meat-eating bodybuilders restrict their diets so much and become so obsessed with what they can’t eat that they slip into eating disorder territory and require medical treatment to rebound and get healthy again. Vegan bodybuilders usually don’t have the same problems. It’s possible to eat whole foods that nourish the body and take in some vegan supplements—often made from minimally processed natural vegetable proteins sourced from grains or legumes—and succeed as a bodybuilder without needing to radically alter the standard vegan diet. While the average meat-eating person probably wouldn’t want to follow the diet of a meat-eating bodybuilder, the average vegan would find many parallels between what they eat and what ends up on vegan bodybuilder’s plates. Of course, portion sizes and meal frequency are probably different due to the amount of fuel bodybuilders need, but the essential dietary building blocks are easily recognizable across both approaches to a vegan diet. This makes it easy to wonder whether vegan bodybuilders are healthier. “Health” is a bit of a subjective term overall. There are different ways to define health and different people may put more or less emphasis on different parts of the full puzzle of an individual’s wellness. But considering how extreme meat-eater bodybuilder diets can be and how comparatively natural and simple a vegan bodybuilder’s diet usually is, it’s easy to argue that vegan bodybuilders are healthier. There’s always some confusion among non-vegans as to what the difference between vegan and vegetarian lifestyles actually is. This is no different when it comes to bodybuilding and it can even be more confusing since so much of the diet-related aspects of the sport are focused on eating meat. As with other differences between vegans and vegetarians, though, the main difference for bodybuilders is the fact that vegetarian bodybuilders are usually willing to consume some foods that derive from animal sources, particularly milk and eggs. This means that egg white and whey protein powders are both on the table for most vegetarian bodybuilders. This is absolutely not the case for vegan bodybuilders. Whey protein derives from cow’s milk; whey is a byproduct of cheese manufacturing. Cheese is made by turning milk into curds (literally solids from curdled milk) and separating these solids from the leftover liquid, which is called whey. Whey can be further processed to remove the liquid component, which results in a high-protein substance that’s converted into powder. These powders are usually then flavored and mixed with additives. Egg white protein derives from eggs that are usually sourced from chickens. All of the fat, cholesterol and other unhealthy elements of the egg are contained in the yolk, while the white contains all the protein in the egg. Separating the two and drying out the egg white allows for the distillation of available protein into an easily consumable source. Aside from the protein powders themselves, vegetarians can consume the whole food versions of these animal-derived proteins. Yogurt, eggs, low-fat cheese, and milk can all be part of a vegetarian bodybuilder’s diet because they do not derive from animal flesh as meat does. Vegans do not consume any foods that derive from animals in any way, so all of these foods are off limits. Vegans can easily supplement their protein intake with vegetable-sourced ingredients, but it’s important to note the distinction. It’s especially important for novice vegan bodybuilders to avoid receiving misinformation about where egg white and whey proteins come from. These are not and never will be vegan-friendly foods. Are You Considering Veganism or Bodybuilding? If you’re a bodybuilder thinking about making the switch to veganism or if you’re a vegan who’s interested in bodybuilding without having to sacrifice your ethics, this section of our site is a valuable resource that can help guide you to where you want to go. Everyone has to do research when changing their diet or undertaking a new fitness program, so don’t let that stop you. Even a meat eater who wanted to start bodybuilding would have to do a lot of research to find out what they need to do to achieve significant gains and do the exercises necessary to tack on mass. Another element that’s no different in the process of becoming a vegan bodybuilder is that you’re probably going to experience some trial and error as you find what works for you. After you spend enough time in the fitness world, you learn that one-size-fits-all solutions just aren’t logical. Everybody is different, every brain is different, and every set of goals is different. There’s no one right way to go about it. As long as you’re sustaining a lifestyle that works for you and you’re making strides toward your fitness goals, you’re doing it right. Patience, determination, knowledge and the ability to adapt and change your approach are more important than following someone else’s plan to the letter. Don’t feel obligated to keep doing something that doesn’t feel right or isn’t giving you results. You’ll have plenty of options and approaches to choose from. Vegan diets aren’t as limited as critics say, so you’ll be able to go back to the drawing board if you need to and find the right balance for your lifestyle. Remember that vegan lifestyles aren’t always accepted, too, so be ready to hear some criticism. Don’t let it get to you. As a vegan, there’s always the chance that you may have to explain your lifestyle choices to people who don’t get it, and that’s perhaps even truer of body builders. You may encounter some very opinionated or even closed-minded people in the bodybuilding world who think their way is the only way, but strong opinions don’t equate to correct opinions. Bias is not the same thing as fact. You absolutely can achieve your fitness goals as a vegan. There’s just no proof to suggest that it’s impossible for vegans to be extremely muscular and incredibly physically fit. You’ll still have to put the work in, but your diet won’t be what gets in your way. Vegans can work out hard and gain large amounts of muscle mass when they find the diet program that works for them. Finding the right program takes experimentation, research, and dedication. It requires the bodybuilder to become knowledgeable about their food and how to balance the necessary building blocks of protein, carbohydrates, calories, fat, and fiber. Do the same thing and you’ll succeed. You won’t need to argue with anyone who says that vegans can’t be bodybuilders. Your results will speak for themselves. As part of our mission to dispel myths about veganism, promote vegan lifestyles, help novice vegans adjust to their new diet plan, and make it easy to stick to your ethics in any situation, the Vegan Bodybuilding section of our site is a repository of useful information that will guide you toward success as a bodybuilder who doesn’t consume any animal-derived products. We’ll show you all the best plant-based protein sources and review other vital dietary information that will help you reach your goals and approach fitness the way you want to. You’ll also learn that, in spite of the major up-front differences between vegan bodybuilding diets and bodybuilding diets that include meat or other animal proteins, much of the process of eating and diet planning looks the same no matter what kind of foods the bodybuilder consumes. From supplements and creatine sources to book reviews that will help you find the best-possible information sources out there, this section is your ultimate source for well-researched information about what bodybuilding is like for a vegan. You’ll get actionable advice and information that may completely transform the way you approach fueling your body for training. 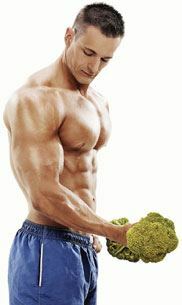 We’ve broken our Vegan Bodybuilding section up into several different subsections that allow us to focus on the information that really matters to you. If you’re completely new to bodybuilding or veganism (or both), read through all these pages to get insight and guidance focused specifically on the balance of priorities between fitness training and vegan lifestyle. If you’re more experienced and simply want more information on a specific set of information, you can focus on the subsections as standalone pieces. Customize your approach based on what works best for your existing knowledge and future goals. Learn all about successful plant based bodybuilders who’ve made it to the top of their profession on a completely vegan diet. The men and women featured in this section are elite athletes who serve as living proof that veganism isn’t for weaklings. We’ll detail who they are, what they’ve accomplished, and give you all the information we can find about their diet plans so you can see the power of vegan bodybuilders in action. What are the differences between a vegan and a meat-eater in the bodybuilding world? Are there any similarities between the two and, if so, what are they? Let’s explore the benefits of a vegan bodybuilding diet when compared and contrasted with a meat-eating diet for fitness and muscle gain. You’ll want as much information as you can get in order to do your best as a vegan bodybuilder. There are plenty of books out there that are written to help guide and inform vegans who want to get into bodybuilding or bodybuilders who want to get into a vegan lifestyle, but you may not have time to read all of them. To make it easier for you, we’ll break down some of the best titles and give you a detailed overview of each one so you can decide which vegan bodybuilding books are the most suitable for your needs. Protein is a major concern for bodybuilders and, as we discussed above, there’s no shortage of protein sources for vegans who weight train. This section will show you the best ways for vegan bodybuilders to consume the amount of protein they need to sustain their workout programs. We’ll go over whole foods and protein powders that are packed with 100% vegan protein sourced from plants, never animals. Bodybuilders need supplements. It’s a basic fact of the activity—when you’re trying to achieve superhuman results, you can’t just stick with a regular average Joe diet. We’ll take a look at the best supplements available to vegans and give you some warnings about supplements that may include some hidden animal-derived ingredients. 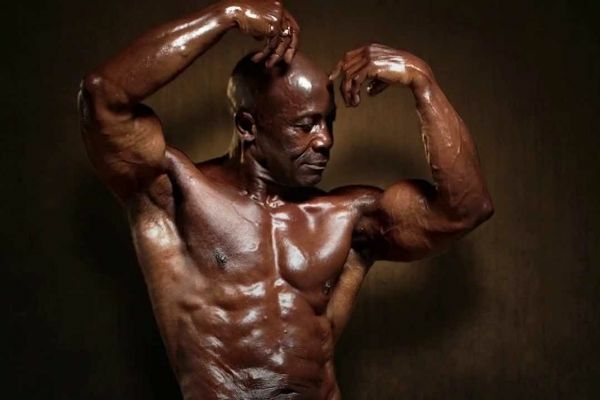 In this section, we’ll go over some fundamental truths about the human body, energy storage, muscle tissue and creatine, a naturally occurring essential amino acid that bodybuilders tend to rely on to promote the buildup of muscle mass. We’ll go over the best sources of creatine for vegans and detail some warnings about relying too heavily on this supplement and what it can do to your body if you use it wrong. Glutamine is another essential nutrient that helps during the bulking phase. This amino acid is closely associated with muscle and tissue growth, so it’s an important element in any bodybuilder’s diet. We’ll go over good sources of glutamine for vegans and talk about how it’s synthesized and utilized in the body. Branched-chain amino acids (BCAA) have an important part to play in muscle recovery. The body doesn’t produce BCAAs naturally, so it’s necessary to supplement them, especially if you want to get maximum benefit from your workouts. Because most dietary BCAA sources come from meat and dairy, it’s usually necessary for vegans to supplement their BCAA intake while on a bodybuilding fitness program. We’ll tell you what the best vegan-friendly BCAA supplements are so you can get this part of your program figured out quickly. Combining different supplemented nutrients and amino acids can really help drive your success. While taking some of these supplements on their own can be beneficial, you’ll get the best possible results when you let your supplements join forces. This is known as supplement stacking, and we’ll show you how it’s done and give you the best strategy for a vegan diet. Bodybuilding isn’t easy, but it doesn’t have to be confusing, either. Ultimately, we want to help you achieve your goals in a way that feels natural and authentic to the person you are. And while bodybuilding isn’t easy, it doesn’t have to be a chore. Hopefully, with this advice, you can enjoy your fitness journey and stay true to your ethics without making major compromises. Even if you aren’t interested in bodybuilding as a competitive endeavor, the health and fitness information contained here can be interesting to any vegan who needs to fuel their body for elite athletic performance.